 The three tower rooms (Birkmyre, MacIntosh and Stewart) generally have the best views with aspects over the golf course and the front of the hotel. 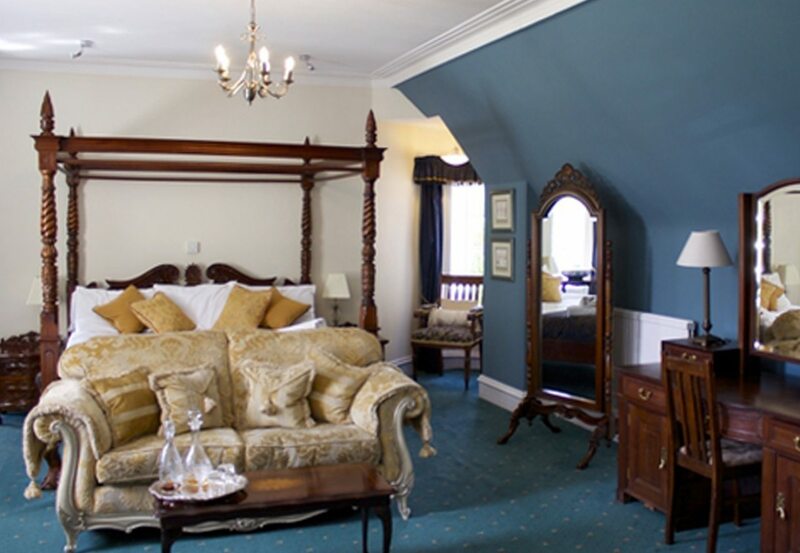 The Birkmyer and MacIntosh rooms were the Laird’s and Lady’s rooms respectively in the early part of the last century; the Stewart room is our largest room. Stewart is the original Laird’s bedroom at Dalmunzie in the oldest part of the building. It is furnished with antiques and enjoys views directly over the front lawn and golf course from its two turrets. 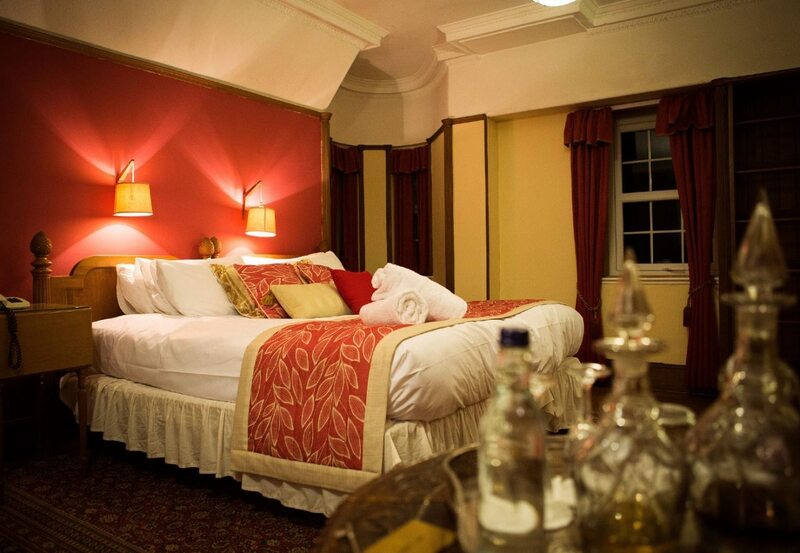 This room also boasts a beautiful antique four-poster bed. Birkmyre was Sir Archie Birkmyre’s bedroom with original oak floorboards, oak fittings and fireplace. This is an extremely large room with bed to match. The bedroom enjoys wonderful views of the glen in three directions and in particular towards Ben Earb from its large turret with dressing table. This room also interconnects with twin annex room Ramsay (view here in Dalmunzie Rooms) making it the perfect room set-up for families. MacKintosh was Lady Birkmyre’s bedroom and is named after the family who held Dalmunzie for over 350 years. 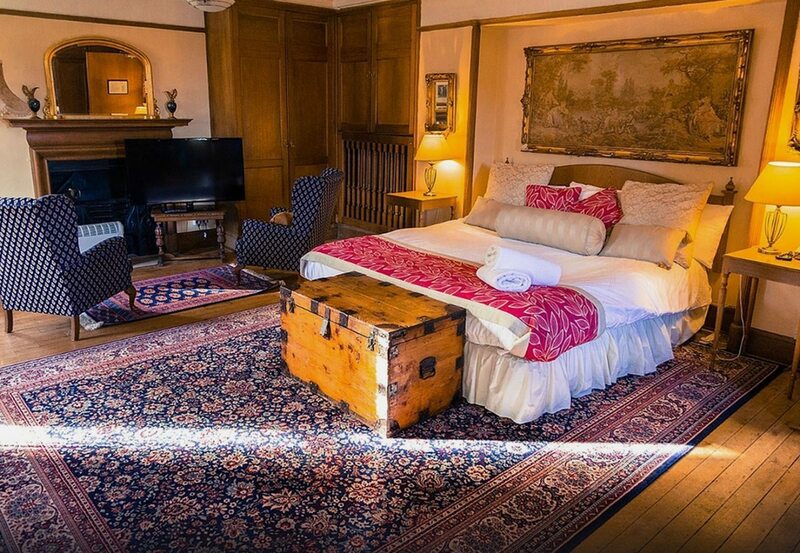 The bedroom takes up the entire top of the oak tower and still has its original oak floorboards and oak fittings. Wonderful views of the golf course and mountains are on offer from its turrets. Of note is the original arch sash window and the rich red decor. © Dalmunzie 2016. Website by Mywebcare. All Right Reserved.